Manufacturer of a wide range of products which include copper nickel 90/10 flanges, copper nickel 70/30 flanges, cupro nickel flanges and copper nickel c 70600 fittings. Shape Round, T Shape, etc. 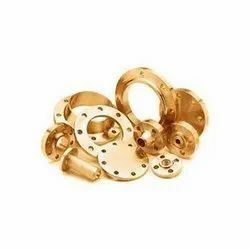 Our organization is counted amongst the most distinguished providers of Copper Nickel Cu-Ni 90/10 (C70600) Flanges. Leverage on our vast industry experience, we are involved in offering an optimum quality Copper Nickel Cu-Ni 70/30 (C71500) Flanges. 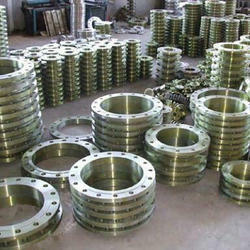 This flange is manufactured by top grade basic material leading techniques in fulfillment with the set standards. Our offered flange is widely acclaimed in different industrial sectors for its corrosion resistance superior finish. As well, offered flange can be customized in accordance with the market preferences in a promised time frame. 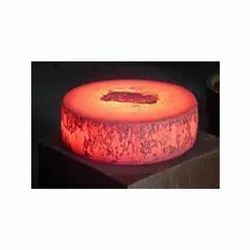 We have carved a niche amongst the most trusted names in this business, engaged in presenting standard quality assortment of Cupro Nickel Flanges MGF to our appreciated customers. This Cupro Nickel Flanges MGF is extensively demanded in different other industries. This product is checked for quality under different parameters, which are set by the industry. This product is designed by our trained professionals using latest techniques and premium quality material. Our product is available in reliable in nature, robust in construction and known for their long functional life. Our organization is highly famous provider of Cupro Nickel C 70600- 90/10 Fittings to our clients. These products are acclaimed for their precise dimensions and excellent texture and are noted for their excellent quality. Our range is made by our industrious professionals by use of top grade material purchased from our reliable and authenticated market sources. These products are widely used in industries and are customized as per the rising market demands. We in order to fulfill the bulk requirement produce this product on massive scale level.